One thing makes life in Eisenstadt bearable for exiled Professor Oladel Adewole: the island floating a mile above the city. He's an expert in world mythology about the island, but no one's ever been there or knows how it got there. When a brilliant engineer makes it to the island in her new invention, the government sends Adewole up with its first survey team. 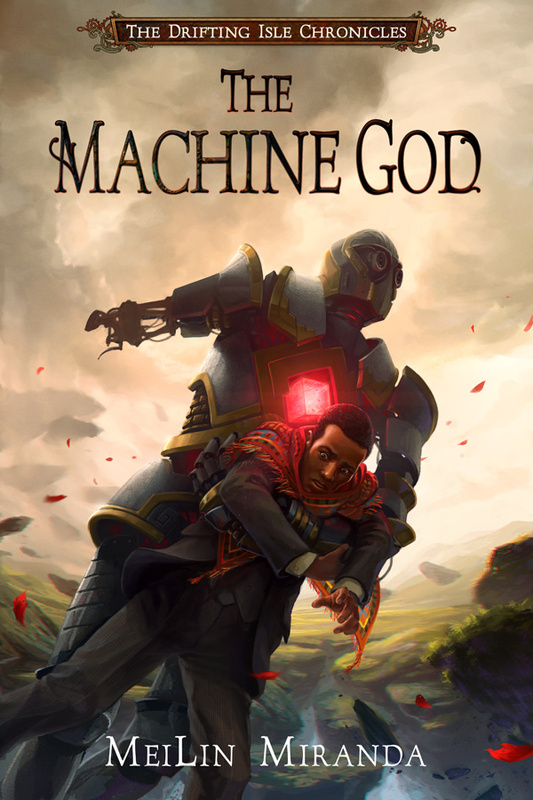 The expedition finds civilization, and Adewole finds a powerful, forbidden fusion of magic and metal: the Machine God. The government wants it. So does a sociopath bent on ruling Eisenstadt. But when Adewole discovers who the mechanical creature is--and what it can do--he risks his heart and his life to protect the Machine God from the world, and the world from the Machine God. MeiLin Miranda writes Victorianesque fantasy and science fiction from her 130-year-old house in Portland, Oregon. Her love of all things 19th century (except for the pesky parts like cholera, child labor, slavery and no rights for women) has consumed her since childhood, when she fell in a stack of Louisa May Alcott and never got up. 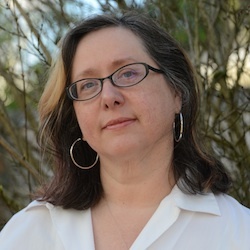 MeiLin has been a professional writer for most of the last 35 years, focusing on nonfiction until a cardiac arrest and near death experience in 2006 convinced her she'd better get moving if she meant to write fiction.